Grab a friend and meet Ashton Kutcher at City Summit during the weekend of the Academy Awards in Los Angeles, California. One lucky bidder will get a Meet and Greet with actor/entrepreneur at the Summit, taking place March 2-3. The winner and a friend will get VIP tickets and backstage passes to the Summit, plus get access to the pre-event VIP dinner on March 1, reserved up-front seating at the Summit and a fun VIP gift bag. Funds raised by the online auction will support City Gala. 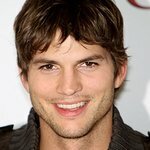 To learn more about the auction, please visit www.charitystars.com/ashtonkutcher. The City Summit is a world class, socially conscious business acceleration experience. The Summit was founded by Ryan Long in order to give entrepreneurs the ability to connect with each other and advance their knowledge and partnerships in elite social circles. The City Summit and City Gala raise funds to support startup, nonprofit organizations. The vision is to advance a sense of community through humanitarian activities and events. This year’s City Gala will feature a live and online auction put on by CharityStars, the world’s most comprehensive fundraising platform and creator of AidCoin. Learn more or purchase tickets: www.citygala.org. Guest speaker Ashton Kutcher is the co-founder of Grade-A Investments and the Thorn Foundation – a nonprofit that builds technology to defend children from sexual abuse.